If you’ve ever been camping or hiking before, then you know that comfort goes a long way in your overall enjoyment. Especially when you are exposed cold weather or wind. Nature can be unforgiving, so every bit of preparation can make all the difference between a disaster and a memorable experience. That’s why we made this guide to help you select the best camping blanket for your outdoor needs. Whether you’re planning on lounging near a campfire or preparing for low-temperatures and inclement weather, the right blanket is an essential addition to your camping gear. The Montem Sneaky Snuggler Camping Blanket is an all-around great blanket to keep you warm when you’re home, curled up with your favorite reads, at a campsite, or on the sidelines of a brisk, winter sporting event. This puffy blanket measures 54″ x 80″ and can fit most adults, with plenty of room to wrap up your entire body and have an additional blanket to spare. The blanket comes with its stuff sack and does not have to be folded or compressed when packing it away. The Montem blanket is weather-proof and, according to the manufacturer, has passed numerous rain tests with pressurized water; its polyester side was capable of withstanding a direct blast without any water penetration. With a temperature rating of 40°+ your snuggler is designed to keep you toasty and cozy in a multitude of conditions. That makes it a solid choice in case the weather takes a turn for the worse. The ANCHEER Outdoor Camping Blanket has a distinct advantage in its heat-insulated aluminum film. Though this may seem like an obscure manufacturing choice for a blanket, it has an ingenious design: the aluminum foil prevents most stains from setting on the shell, makes for thorough washing, drying, and aftercare. The aluminum film is also waterproof and moisture resistant, which can enhance your outdoor activities — or prevent bad weather from spoiling them. The non-slip surface has strong supporting cushion and is also durable, capable of being used everywhere from the beach to the woods damp grass and beach sand. The colors of the blanket are also designed not to fray or fade over time, which further strengthens its aesthetic value. The ANCHEER Outdoor Camping Blanket measures 55” x 74” inches, making it large enough to support more than one person. Washing the blanket may require special attention to preserve the aluminum. The Arcturus Heavy Military Wool Blanket can be used in automobiles, inside homes, and also, of course, the great outdoors. The blanket doesn’t have all of the flashy assets that most of the other blankets in its price range have, yet what it lacks in features it makes up for in purpose. This blanket is designed for warmth. It has 550 grams per each square meter of density and is made with 80% wool — which makes it an effective thermal. It’s also heavy at 4 pounds, and measures 66” x 88”, with hemming on its four sides. Wool is fire retardant — that makes the Arcturus an ideal emergency blanket choice and perfect staples for any vehicle, kit, or shelter. It comes in olive green and standard, military gray. Also, as a military grade blanket, the Arcturus has to be washed several times to remove the slight odor that comes natural with wool blankets. Kelty is a trusted name in the outdoor industry, and the puffy blanket only builds on that established reputation with superior comfort and cloud loft insulation. The Kelty Bestie Blanket has a polyester shell that is water and stain proof, so you won’t have to worry about draping it over wet grass after a light rain. Its fleece interior makes for a comfortable touch and warm covering. The Kelty Bestie Blanket is portable and has its own sack pack for you to store. But it comes in one size only, and can’t cover the entire body. By design, the Kelty Bestie Blanket is a leisurely, entertainment-based blanket meant for regular, casual use. It’s not designed, nor meant for, extreme weather less than 50 degrees. This means that the Kelty Bestie Blanket can be used around the home, in vehicles, or wherever you need a compact blanket. And with dimensions of 76 x 43 inches, this camping blanket can be used by more than one person. If you are considering a camping blanket that is all-around balanced as far as benefits go, and from a name you can trust, then consider the Kelty Bestie Blanket. The EKTOS Wool Blanket is a survival-style, emergency blanket for the ultra-prepared. It’s 80% wool maximizes warmth and is constructed out of high-quality, finished edges. The wool works to regulate your body temperature and is still able to insulate even when wet from rain, sleet, or snow. The blanket is for rugged use and designed as a long-lasting piece of your camping gear. And though rugged, it is also a necessity for backpackers, hunters, or remote fishermen looking to stay safe. Additional benefits of the EKTOS Wool Blanket include natural wool fire resistance and anti-mildew film. If you’re an outdoor lover, choosing the correct camping blanket is more than an investment in your passion; it can save your life. It’s important to understand the types of blankets that are on the market — to learn the benefits and take note of any disadvantages — so that you can prepare accordingly. Puffy blankets are accessible, multipurpose gear designed for anyone interested in the outdoors. They come in carrying pouches or small packs, which makes transport easy. Their primary draw is how lightweight they are. Whether you’re interested in camping, picnics, yoga, lounging, puffy blankets are excellent companion pieces to have on hand. They can even be used as a sleeping bag replacement — with the same warmth and similar comfort levels. Emergency or thermal blankets come in many styles and sizes, both big and small. Very small. Some are even pocket-sized. These blankets are built for durability, but not for repeated use; most break or tear after a few uses. They also have a shallow comfort level. Like their namesake, these blankets are intended for emergencies — not leisure. Cold weather blankets are manufactured out of fleece or wool material to keep you warm and dry. The fabric works to insulate you under all circumstances, even when wet. These are incredibly durable and versatile, military-approved blankets. Sleeping bags come to mind whenever most people think of camping. And that’s for a good reason: sleeping bags provide thorough insulation and are nature-tested to withstand the elements. They are heavier than most outdoor blankets and take up more space, but are considered necessary items for the wilderness. Extreme weather blankets are designed to ensure your survival in harsh environments. These types of blankets are must-haves for any emergency survival kit. Most are waterproof, fireproof, and wind resistant. If you plan to use your blanket beyond your tent or as a hammock tarp, we encourage you to pursue waterproof brands or those that at least have exterior finishes that are resistant to precipitation. These will absorb all available water while retaining warmth and comfort. Typical, non-waterproof blankets can gain weight once they are soaked — which will make for a tedious pack and carry once you dismantle your campsite. Understanding the differences in insulation material is imperative when preparing for a chilly night outdoors. But it’s not a matter of choosing synthetic or down feathers when selecting a blanket — it’s the fill levels. Higher fills mean the material has much higher thermal efficiency; lower fills level could mean low warmth as the temperature drops. This rule applies to all materials. 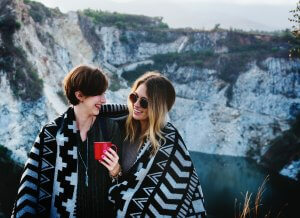 Who says that heavy-duty, outdoor blankets can’t be stylish? Camping blankets come in all colors and materials, from flashy neons to gaudy browns, sew-in lacework, Velcro’s and snaps adjustments. Your color preference is your own, but consider how the color will translate to dusk and night when natural light recedes. You may want to select a color that will help you spot items in the dark — like a flashlight or smartphone. What are the primary ways that I use this blanket? Blankets have different uses for different circumstances — they are as unique as the people using them. By brainstorming how you will use the blanket, you can align your usage with available market options, such as warmth in a puffy blanket or a multi-purpose emergency blanket for safety. How will this blanket handle bad weather? Think on the native weather relative to your location — and plan your camping blanket purchase for it. 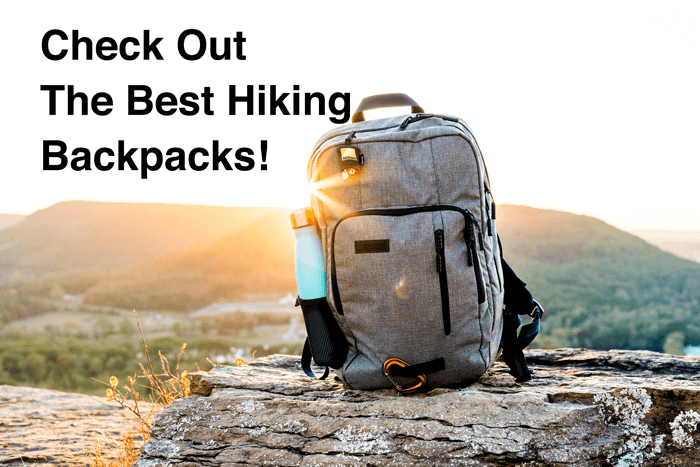 Whether you’re planning an excursion in the Pacific Northwest and want to be ready to brave cold rain, or are hiking above sea level with colder temperatures, weather needs to be accounted for in your blanket. Multi-purposed blankets vs. specific-use blankets — which is best? You may not need a blanket with many different functions if you are only looking to stay warm or switch from a sleeping bag. Likewise, if you’re expecting to be remote and near fires, high wind, and rain, then you may need a blanket that can protect you from all of those things.